I have known Paul Shapiro since he ran Compassion Over Killing in Washington DC, together with his wonderful three legged dog, George. From that position, Paul went on to be a Humane Society of the United States spokesperson and vice president for thirteen years. 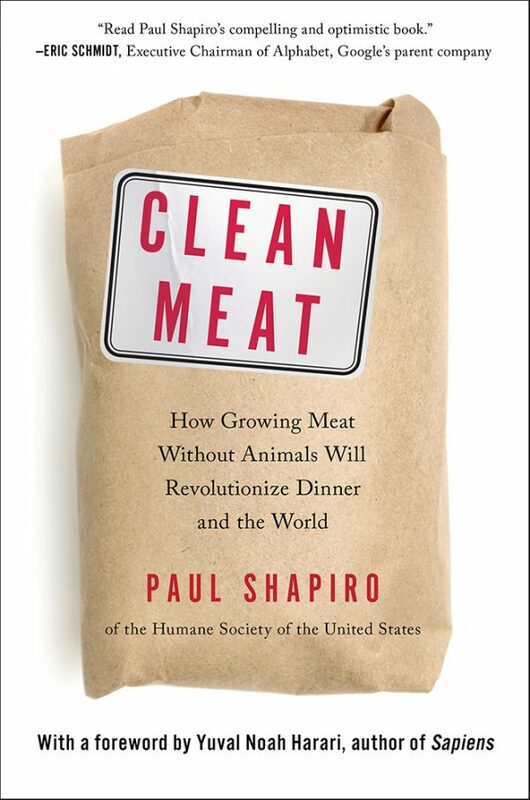 Just this month (Jan. 2018), Paul came out with his first book: Clean Meat. How Growing Meat without Animals will Revolutionize Dinner and the World. 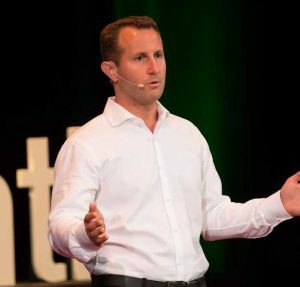 In it, Paul chronicles some of the key people, companies, and technologies behind clean meat, or the idea of creating animal products directly from animal cells, without live animals. Paul provides the reader with a fascinating inside view of the startups that have been popping up in our social media feeds in the last few years: companies like Memphis Meats, Hampton Creek, Modern Meadow, Clara Foods, Mosa Meats, Geltor, or Perfect Day, who are all hurrying to bring products to market that might just mean the beginning of the end of animal consumption. I talked with Paul about his hopes for clean meat, and asked for his answers to some common objections to the idea of eating meat without animals. Vegan Strategist: Paul, your book got me even more excited about the possibilities of clean meat (not to say clean milk and clean eggs). First of all: what are you most excited about? Paul Shapiro: I’m excited about it all, but, in all honesty, what would excite me the most would be a greater focus (in both plant-based meats and clean meats) on poultry and fish. The success of alternative milks and burgers is stellar, but even 100% displacement of those categories would affect less than 1% of farmed animals in the US. Statistically speaking, virtually all farmed animals are birds and fishes, so we need more replacement products for them. Fortunately, many of these startups are working on clean chicken, while Finless Foods is developing clean fish, too. What in your opinion is the most critical factor for clean meat to succeed? Not enough people buying this book! Just kidding. Seriously, there are key hurdles, from consumer acceptance to government regulation to technological barriers that could hinder the success of these start-ups. That said, every one of these companies is optimistic about overcoming such hurdles, and I outline why they feel that way in the book. One of these technological barriers is the serum that is used to make the animal cells grow. Traditionally, this has been bovine serum. How are the alternatives coming along? What we call acellular ag companies (those making milk, egg whites, leather, and gelatin) don’t need any bovine serum (or any other animal ingredients) at all. But the meat companies still use bovine serum for some meats, though not for others. They all know they can’t commercialize their products with that serum, both for financial and ethical reasons. The good news is that they’ve found non-animal alternatives to bovine serum that work (in fact, Memphis Meats’ Nick Genovese even published his serum-free recipe already), but the key is to find the most economical alternatives that will still cause the cells to grow into muscle quickly. Assuming we can get past the technological hurdles: how easy or hard will it be to get governmental approval to bring these products to market? That depends on the country and on the product. The path for the acellular ag companies seems a bit clearer, since there are already similar products on the market now. For instance, the rennet in nearly all hard cheeses sold in the US is produced through the same kind of synthetic biology which companies like Perfect Day, Geltor, and Clara Foods are using. There are some really smart people, like Pat Brown of Impossible Foods, who still think clean meat is an unfeasible and stupid idea. The organization Givewell, as late as 2015, was not recommending investing in or donating to clean meat. Could they be right? Sure, they could be right. I, of course, hope they’re not, and I also look at what experts in the meat industry think. Cargill has already invested in Memphis Meats. A major German poultry company just invested in SuperMeat. I presume they know what they’re doing. But there’s nothing inevitable or self-executing about the success of clean meat. Some people – vegans especially – will say that we already have enough plant-based alternatives, which are getting better and better, and that we don’t have any need for clean meat. If plant-based meats explode in popularity and make clean meat unnecessary, all of the clean meat companies will be thrilled, as would I. I love plant-based meats and tout them all the time. But many people profess to be wedded to actual animal meat. For them, clean meat could be a solution. The problem of factory farming is just so severe that you want multiple solutions. Just as with the problem of fossil fuels, you don’t want just one alternative, like wind. You also want solar, geothermal, and more. Similarly, plant-based meats are a great solution to the factory farming problem, but you also want other alternatives, including clean meat, and, of course, whole foods plant-based diets, too. There seems to be a big food trend in the direction of more authentic, more simple, more artisanal food. That doesn’t seem very compatible with clean meat, at first sight. The key isn’t to get people who like “natural foods” to eat clean meat; it’s to get mainstream meat-eaters (which is nearly everyone) to eat it. And really, the current way we produce meat is so unnatural that growing it seems like a naturally preferable option. I might also point out how technology has helped us on a lot of other food sustainability issues. Take vanilla as one example: only about 1% of vanilla that we eat is “natural” vanilla, which is grown in rainforests. The rest is produced synthetically, allowing us to have the same vanilla taste and scent we crave for much lower costs. What would you tell vegans who are critical of clean meat? Well, clean meat is meant, in the first place, for mainstream meat-eaters, meaning nearly everyone. Some vegans will be fine eating it, but the surveys show that the less meat you eat now, the less interest you have in eating clean meat. No one argues that clean meat is a panacea or that it addresses every single concern about meat. It is quite plausible though that it may spare billions of animals from torture and slaughter. All that said, sometimes as vegans we delude ourselves into thinking that the foods we eat don’t cause any animal suffering. For those who think that, I’d recommend becoming more familiar with commercial agriculture practices, including for the plant-based foods we vegans love. It seems that in the evolution towards a better world for animals, business and entrepreneurship are getting more and more important compared to activism/advocacy. What’s your take on that? I totally agree, and recommend this good essay by my friend Seth Goldman, executive chairman of Beyond Meat, on the topic. This is a big reason I wrote the book and am now moving away from conventional animal advocacy and toward food tech as a way to help animals. The animal advocacy movement can do a lot of good, yet I’ve increasingly come to the view that food technology is desperately needed to greatly accelerate the shift away from the factory farming of animals. Horses weren’t liberated from labor by humane sentiment; Henry Ford liberated them. Whales weren’t freed from harpoons by humane sentiment; kerosene helped render whale oil obsolete. Will clean meat and plant-based meats help do the same for farm animals? These questions are the driving factors for me to move my career more into the food tech space. And you’re not the only one. The stories of the “business activists” in your book are fascinating and inspiring. Yes. And it’s helpful to recall that these people are just people. They’re mere mortals like the rest of us. Many of them are young idealists who haven’t come to believe yet that they can’t change the world. And, as the saying goes, those who complain that they can’t change the world should get out of the way of those who are doing it. How do you feel about big meat companies getting involved in this? The faster meat companies become the purveyors of plant-based meats and clean meats, the faster animals will win. Fortunately, it’s already starting to happen. What would you say to people who bring up anti-capitalist arguments? I hear that argument and respect those who make it. But if animals must wait until the end of capitalism to be freed from factory farms, they’re going to be waiting a long time. Apparently Hampton Creek’s foie gras might be the first product to reach the market? Totally possible. It would be quite a story: the only foie gras that can be legally sold in California. It’d be quack-tastic! What can your average vegan or vegan advocate do in this story? How can they help? It’s a small but growing field! If you want to pursue a career in cellular ag, this page may be useful. If you’ve got an idea for a company and want advice about getting started, the Good Food Institute is the place to go. (It’s actually a great place to go for much more than that, too.) And, if you just want to be supportive, of course, touting the benefits of cellular ag and the start-ups profiled in the book on social media would helpful, too. They could use the support! Next > Vegan advocacy: Unapologetic or pragmatic? The technological narrative may be good for attracting investor dollars to these start-ups…..but it really doesn’t make much sense. Automobiles, for example, provided vast improvements over horse-driven transportation. On the other hand clean meat and plant-based meats are just appealing to a cultural preference for meat…..there is no technological advantage of these products over the traditional replacements for meat, etc (e.g., legumes). In fact….both are decidedly less efficient than just eating legumes, grains, etc directly. Both also go against what everyone is hearing about health today, namely, to eat less processed foods, etc. So why does this cultural preference exist and do clean-meat and plant-based meats really address those reasons? Nobody seems to be addressing these sorts of questions. 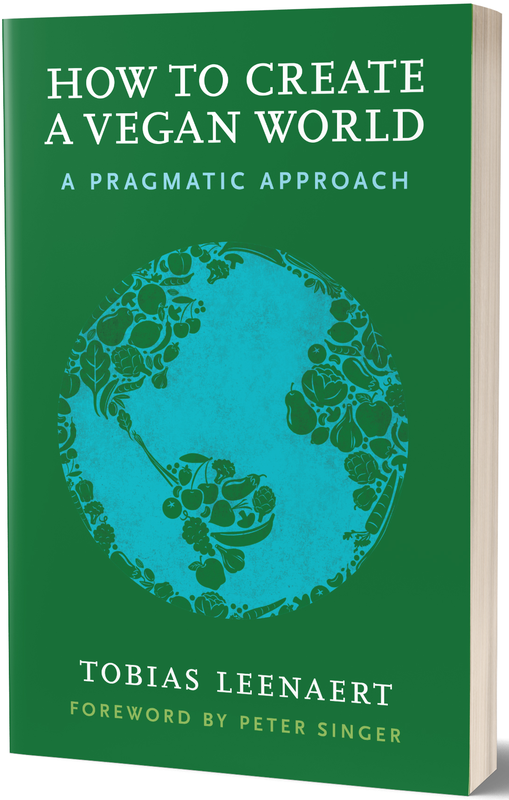 I’d recommend reading the book – there’s definitely a technological advantage to clean meat, milk and eggs, in that the various components of the food can be adjusted based on what the consumer desires. For example, clean meat, milk and eggs can be made using exclusively omega 3 fats, if consumers find that desirable. Just as a side note, while guidelines to eat less processed foods are fairly helpful right now, it’s only because whole foods tend to be more nutritious. I don’t tend to buy into the naturalistic fallacy, so to me, whole foods aren’t magic. We evolved to eat them, but that doesn’t mean we can’t produce something better. The same “advantage” exists in all processed foods and its more efficient to use plant-based proteins than some flavored cultured muscle tissue mush. Cultured “meat” is likely to be more efficient than traditionally raised meat but we are very far from being able to create the sort of structured tissue that people know as “meat”. Doing so is, more or less, equivalent to growing human organs which we still cannot do despite the technology being worth billions. But neither plant-based “meats” or lab “meats” provide any clear advantage to people. You can argue they are more “environmentally friendly” or “more moral”….but that is all abstract and ideological. Automobiles didn’t replace horses because people changed their cultural attitudes towards horses but because the automobiles provided clear tangible benefits to people. And the guidelines to eat less processed foods isn’t just about nutritional value and you can easily increase the nutritional value of foods via fortification. But a fortified cookie is still unhealthy while a piece of fruit is healthy despite former may have more nutrients. This isn’t a naturalistic fallacy, the guidelines emphasize whole foods because decades of research has shown that they have health benefits over processed foods. Now its possible one day we can create some processed food that is just as or more healthful than whole foods but so far we haven’t even come close to that and it would require decades of research to even demonstrate such a thing. So “lab-meat” will enter a landscape where whole foods are being emphasized and fear of “chemicals” and lab created things is high……that isn’t a good landscape for the success of “lab meat”. So this is another area where plant-based products have an edge, they are made with more familiar ingredients. This is an important interview. I hope it gets translated in a number of other languages, too! Such a great interview, Tobias! I’m so glad you asked him a few more questions re: bovine serum & other issues that matter more to your audience. And I loved Shapiro’s answer on capitalism – we can never stand afford to stand around waiting for perfection before we try to make things better. I must admit that I, for one, eagerly await clean foie gras and Camembert! I was excited to see the mention of animal-free serum in the interview, so I looked at the link. However when I read the actual study I was less excited, because it mentions things like mouse laminin and porcine gelatin, which doesn’t sound animal-free. I guess they’re used temporarily from cheap non-vegan sources for the sake of R&D, but if they want to use these molecules for commercial in vitro meat they’ll have to scale up production of vegan equivalents. Which might in part already be the case with vegan collagen being produced by Modern Meadow and Geltor, although I don’t know if it’s the kind of collagen compatible with in vitro meat (because there are different kinds of collagens and thus different kinds of gelatins, for example Wikipedia mentions fish gelatin as non suitable for many applications of gelatin).